Can Microsoft remain on top of productivity? Google purchased the mobile productivity suite Quickoffice in what many see as a bid to aid Google in overthrowing Microsoft Office. 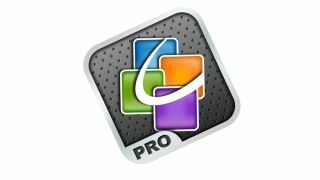 Quickoffice is an iOS and Android app that allows mobile users to work on popular file types like those used by Microsoft Office from their smartphones and tablets. Google will likely use Quickoffice's well-established platform to further enhance Google Docs, which has quickly become a popular alternative to Microsoft Office. "Quickoffice has an established track record of enabling seamless interoperability with popular file formats, and we'll be working on bringing their powerful technology to our Apps product suite," Google Engineering Director Alan Warren wrote on the company's blog. "Quickoffice has a strong base of users, and we look forward to supporting them while we work on an even more seamless, intuitive and integrated experience." Can Microsoft Office stay on top? Google may look to topple Microsoft from the productivity throne, but Microsoft appears to have some plans of their own. Rumors popped up last month of Microsoft Office heading to iOS and Android devices, with an app for iPads and Android tablets being released as soon as November. But that leaves Google plenty of breathing room to get a new Quickoffice-enhanced version of Google Docs up and running, and with full compatibility with Microsoft's popular file formats, the battle may already be won by that point. "We worked very hard to build Quickoffice as a user friendly, seamless and yet powerful way to view, edit, sync and share documents anywhere, anytime," Quickoffice co-founder and CEO Alan Masarek wrote on the company's website. "By combining the magic of Google's intuitive solutions with Quickoffice's powerful products, our shared vision for anytime, anywhere productivity can only grow."